Lachenalia mathewsii is an attractive, deciduous, winter-growing bulb, standing 10-20 cm tall. It produces two distinctive, narrowly lance-shaped, tapering leaves. The leaves are unmarked, fresh green in colour and covered with a greyish bloom. The inflorescence is a raceme of bright yellow flowers, each flower bell-shaped and held more or less perpendicular to the main stem, with conspicuous green spot-markings near the tip of each tepal. The flowers have a mild spicy scent and are pollinated by honey bees. The fruit is a capsule containing small, hard, shiny black seeds. 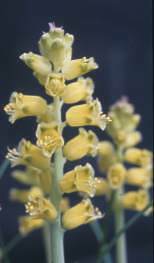 Lachenalia mathewsii is an endangered plant that was for a time considered to be extinct in nature, as it had not been collected from 1943 until Queenie Paine and Hertha Bokelmann found it again in 1983. It is now known from only one locality on the west coast of the Western Cape, the rest of its habitat having been ploughed up for agriculture. Nevertheless, since its rediscovery, Graham Duncan, the curator of the bulb collection at Kirstenbosch, has increased the number of plants in the nursery, and seed and plants have been made widely available, so that it is now grown in bulb collections all over the world. Seed is available from the Seed Room at Kirstenbosch. The genus Lachenalia is endemic to southern Africa, and is the largest genus in the family Hyacinthaceae, containing ±110 species that occur in Namibia, the Free State and the Northern, Western and Eastern Cape provinces, but with the vast majority occurring in the winter-rainfall regions of the Cape. The genus is named after Werner de Lachenal, 1739-1800, professor of botany at Basel, Switzerland. The species is named after Mr. J.W. Mathews, the first Curator of Kirstenbosch Botanical Garden, who discovered this species in 1923. There are no common names recorded for Lachenalia mathewsii, but lachenalias in general are referred to as lachenalia, or viooltjie, a name derived from the squeaky note, suggestive of a small violin (viooltjie in Afrikaans) that is produced by rubbing two flower stalks together and not from any real or imagined resemblance to violets (also viooltjie in Afrikaans). 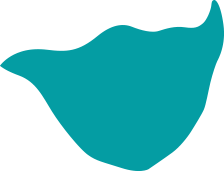 The name would generally be prefixed by a qualifying description e.g. in this case it could be called geelviooltjie (yellow viooltjie). In Europe and America lachenalias are often commonly called Cape cowslips, but this name is a bit misleading, as they don't really bear any resemblance to the wild British cowslips (Primula species). Lachenalia mathewsii is not only one of the easiest lachenalias to grow, it is also free-flowering, each inflorescence lasts for about 3 weeks and it multiplies rapidly. Growing this lachenalia in a container is the most rewarding and practical way to cultivate it. 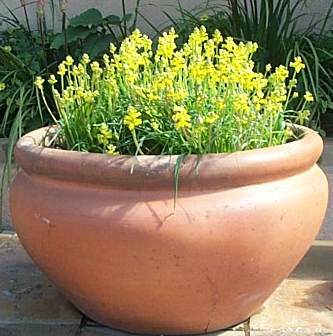 It makes an excellent pot subject, and is best in at least 20 to 25 cm diameter pots, or in larger tubs or window boxes, where it can be grown on a sunny balcony, or verandah or in a sunny courtyard. It would also do well in pockets in the rock garden, where it can be displayed to great advantage when planted in groups inter-planted with low-growing annuals like Steirodiscus tagetes, Felicia dubia and Dorotheanthus bellidiformis. But take note: where porcupines occur outdoor plantings are liable to be dug up and eaten and if moles are prevalent, particularly the Cape golden mole (runner mole), it is advisable to line the area with wire-mesh or sink a wire basket into the soil as the bulbs can be lifted by the tunnelling activities of the moles. Lachenalia mathewsii is tender to frost, and is not suitable for permanent outdoor cultivation in regions with a winter minimum of less than -1 oC (30 oF) USDA Zone 10. In cold northern climates, grow Lachenalia mathewsii in a cool greenhouse, in sun or light shade and avoid scorching midday sun. Grow this lachenalia in a sunny position which has free air circulation. It must have sun to flower well. It is important that the soil be well-drained. Lachenalia mathewsii is not fussy about the pH of the soil and a growing medium of equal parts riversand to loam or fine well-rotted compost (humus) is ideal. Remember to place a layer of stone chips in the base of the container to ensure perfect drainage. The bulbs are fleshy and will rot if over-watered or if planted in poorly drained soil, or if they are watered excessively when dormant. If concerned about drainage of the growing medium, just increase the proportion of riversand to loam/compost. In a garden situation, choose a sunny spot, preferably on slightly sloping ground as the slope maximises water run-off. Drainage in heavy soil can be improved by digging in large quantities of well-decomposed compost (humus) and riversand. Dormant bulbs should be planted in the autumn, March and April being the best months, as the bulbs become active when the temperatures start to fall at the end of the summer. The roots shoot first, then the leaves. Plant the bulbs at a depth of ±2 cm. Lachenalias enjoy being crowded together and give a better display this way. You should be able to fit twelve to fifteen bulbs in a 200 mm diameter pot. After planting, or when bringing out an undisturbed pot of dormant bulbs, water the pot thoroughly, and then not again until the leaf shoots appear, after which a good soaking once a fortnight is sufficient and better than light waterings more frequently. It is preferable for the soil to be slightly dry than too wet. In the garden, the bed should be watered well in March-April and left alone until the leaves appear and then soaked once every two weeks only if it does not rain. Lachenalia mathewsii does not require supplementary feeding in order to grow and flower successfully, but it will respond well to judicious feeding. Bone meal is recommended, as is slow-acting organic fertilizer or fertilizers with a high potash but low nitrogen content, all of which can be mixed into the growing medium in moderate to low quantities. 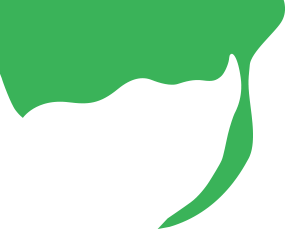 A liquid or seaweed based fertilizer with a relatively low nitrogen content can be used at fortnightly intervals. If a pot is taken indoors, e.g. to enjoy the flowers, it should be put in a light airy spot and watered sparingly. The pot should not remain indoors for more than two weeks, as the lower-light indoor conditions promote lanky, weak growth. Towards spring, as the temperatures rise again, the leaves will start to go yellow, which is an indication that the plants are beginning to go dormant. Watering must now be withheld completely and as soon as the leaves have withered, the containers should be placed in a cool dry place to be stored during the summer months. Bulbs in the garden can be lifted at this time and stored in a cool dry place. If left out in the garden, it is best that they receive as little water as possible, but they should be able to survive summer irrigation provided the soil is very well-drained. Propagation of Lachenalia mathewsii is by seed, offsets, leaf cuttings and tissue culture. Seed is best sown in autumn (March to May) in deep seed trays or pots in a sterilized medium of equal parts fine compost or loam, and riversand. Sow the seed thinly to prevent overcrowding and fungal infection, and to allow sufficient room for each seedling's bulb to develop. Cover with a thin layer of sand, and keep moist and shaded. Germination should occur within five weeks. After germination, the seedlings must be kept moist, not wet, and in a semi-shaded position for their first season. They can be moved into the sun during their second season when some may flower for the first time. They should all flower well in their third season. Seed will remain viable for at least five years at room temperature, even longer if kept refrigerated (not frozen). Lachenalia mathewsii appears not to hybridise when grown nearby other species of Lachenalia. Lachenalia mathewsii multiplies rapidly by offsets. These are side-bulbs or daughter-bulbs which develop out of the mother-bulb and from which they eventually break away to form separate bulbs. Offsets can be removed during the dormant period and stored until planting-time in autumn. Or a clump can be allowed to develop over a few years, then lifted and divided. New bulbs can also be produced by taking leaf cuttings, but only the lower portion of the leaf can be used, as the upper part of the leaf is too narrow. Leaf cuttings must be taken from a healthy plant in active growth. Lachenalia mathewsii produces two leaves, so one entire leaf can be used. It can be cut into two cross-sections, each cutting planted ±1 cm deep in a well-drained rooting medium, e.g. 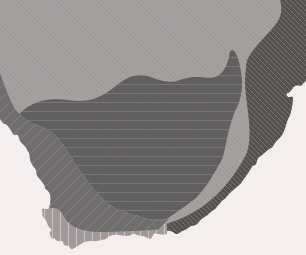 equal parts riversand and vermiculite. The cuttings must be kept shaded and slightly moist. Roots and bulblets will begin to form at the base of cutting in about one month. When the leaf withers, stop watering, remove the little bulblets and store until autumn. Whether an offset or produced from a leaf-cutting, plants grown from a bulblet should flower in their first season, i.e. a year sooner than a plants grown from seed. Although we do not propagate lachenalias by micro-propagation at Kirstenbosch, the Vegetable and Ornamental Plant Institute, Agricultural Research Council at Roodeplaat has been doing it with great success for years. For more information on this subject, consult the article in the South African Journal of Botany, 1983, 2(3) entitled 'Rapid propagation of Lachenalia hybrids in vitro' by Dorothea D. Nel on page 245-246. Or contact the institute at Private Bag X293, Pretoria 0001. The author wishes to thank Graham Duncan for his permission to reproduce the painting by Ellaphie Ward-Hillhorst shown above. 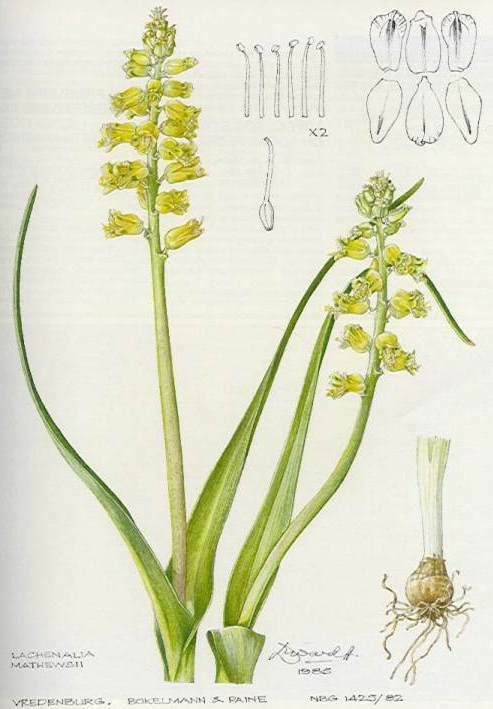 Duncan, G.D., 1986, The rediscovery of Lachenalia mathewsii, Veld & Flora 72(2):40-41. Smith, C.A., 1966, Common Names of South African Plants, Dept. of Agricultural Technical Services, Botanical Survey Memoir No 35, Government Printer.